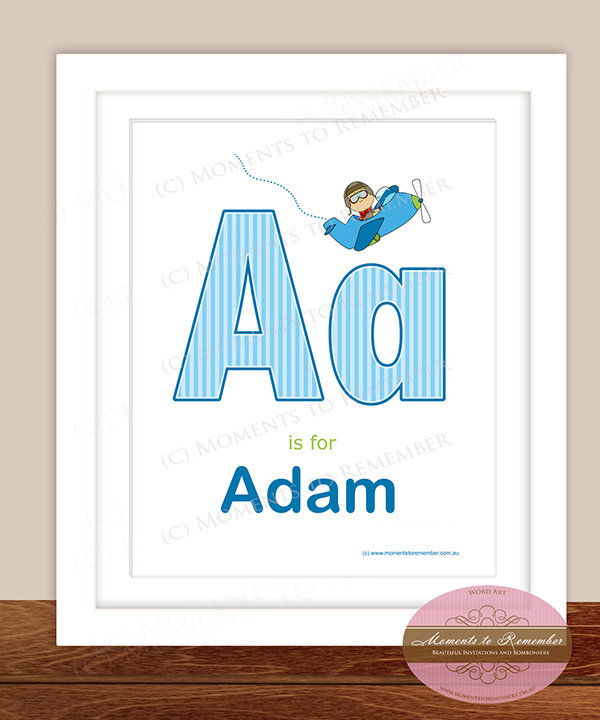 Our Personalised Alphabet Prints look amazing on a Child's Bedroom/Nursery/Playroom wall. It includes the Capital and Lower Case First Initial. It is also decorated with one or more images that begin with the same Letter. Colour and images can be changed to suit your decor and style. ©2019 Moments to Remember. All rights reserved.